Sophomore forward Savion Flagg scored 24 points and six Texas A&M players scored at least nine points as the Aggies defeated Savannah State 98-83 on Wednesday night. A&M overwhelmed SSU in points in the paint (58-18), rebounds (68-43), second-chance points (31-7) and blocks (8-1). The Aggies (1-0) played without starting guards Admon Gilder (hamstring, knee) and Wendell Mitchell (tendinitis), but the injuries are not expected to be serious. Sophomore guard T.J. Starks added 16 points for the Aggies, and freshman guard Collins Joseph led the way for the Tigers (0-1) with 20 points. 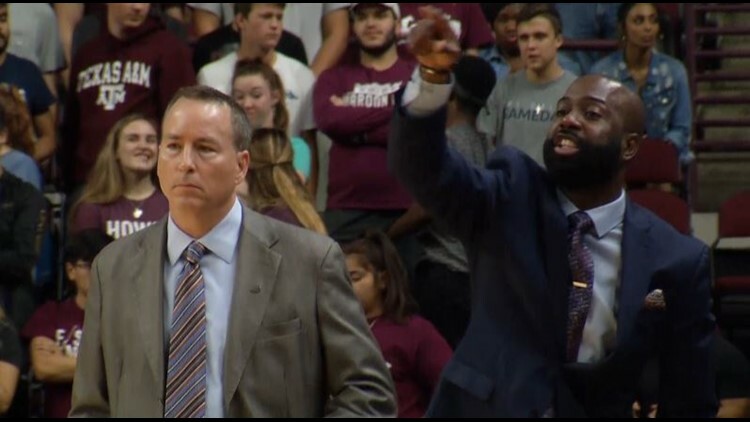 Texas A&M coach Billy Kennedy has pledged the Aggies will get up and down the floor this season more than they have in years past, with big men Robert Williams and Tyler Davis having turned pro, and the young squad did exactly that in blasting to a 53-37 halftime lead. Both teams were sloppy throughout, with A&M finishing with 24 turnovers and SSU 20. Starks finished with nine turnovers, more than twice as many as any of his teammates.